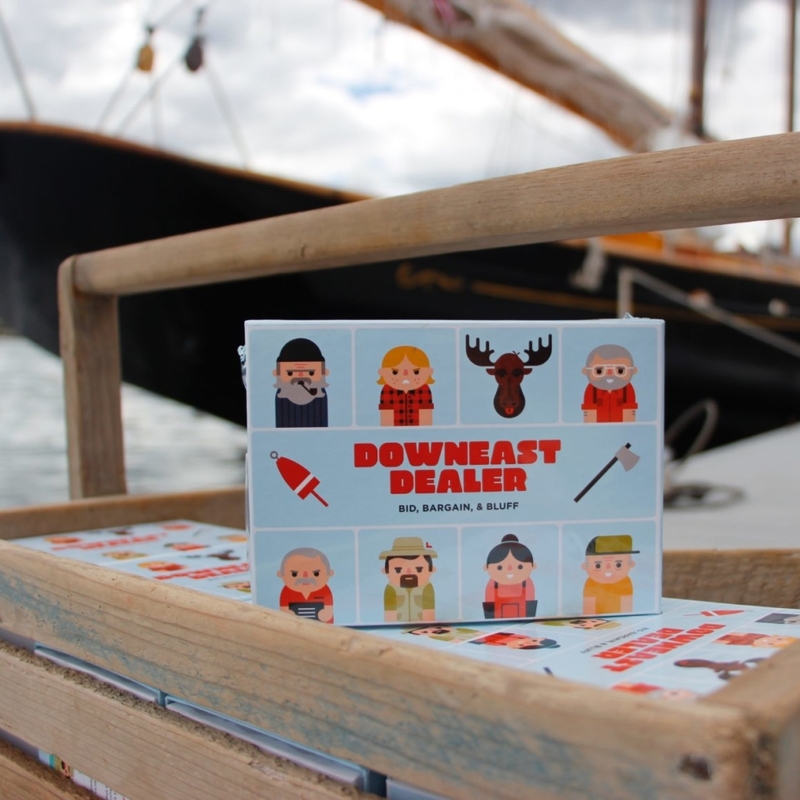 Downeast Dealer is a family-friendly card game for 3-5 players. Players compete to amass the most impressive yard sale items from around Maine. Bid on a moose trophy, or bargain for a lobster trap. Beware of bad checks and the village thief! Only the shrewedest Downeast “Deal-ah” will win! 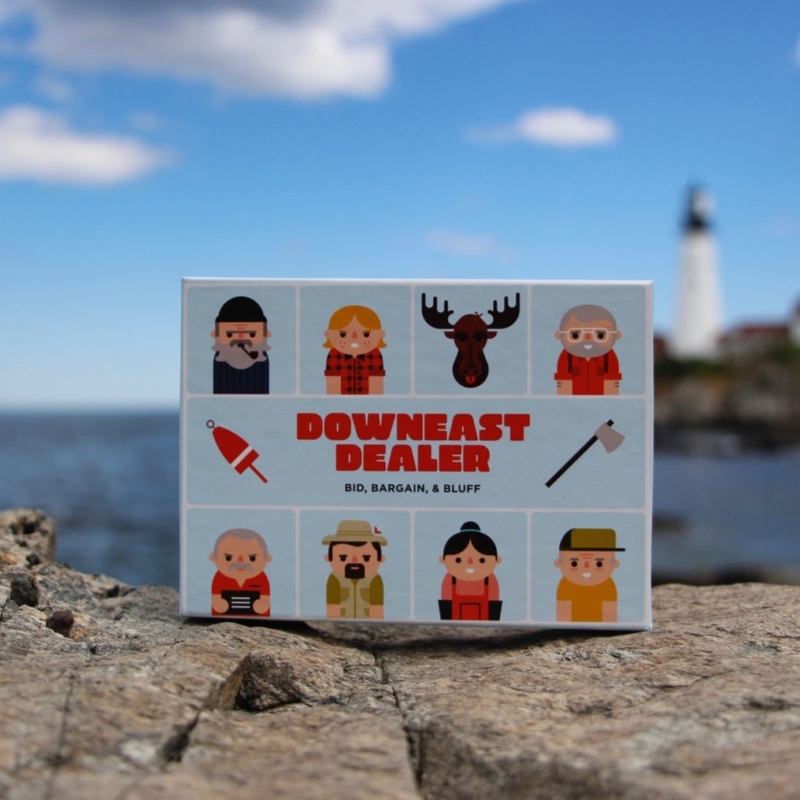 Downeast Dealer was created by cousins Rob Olson and Jesse Harding to provide fun “games-around-the-kitchen-table” experiences with family and friends. 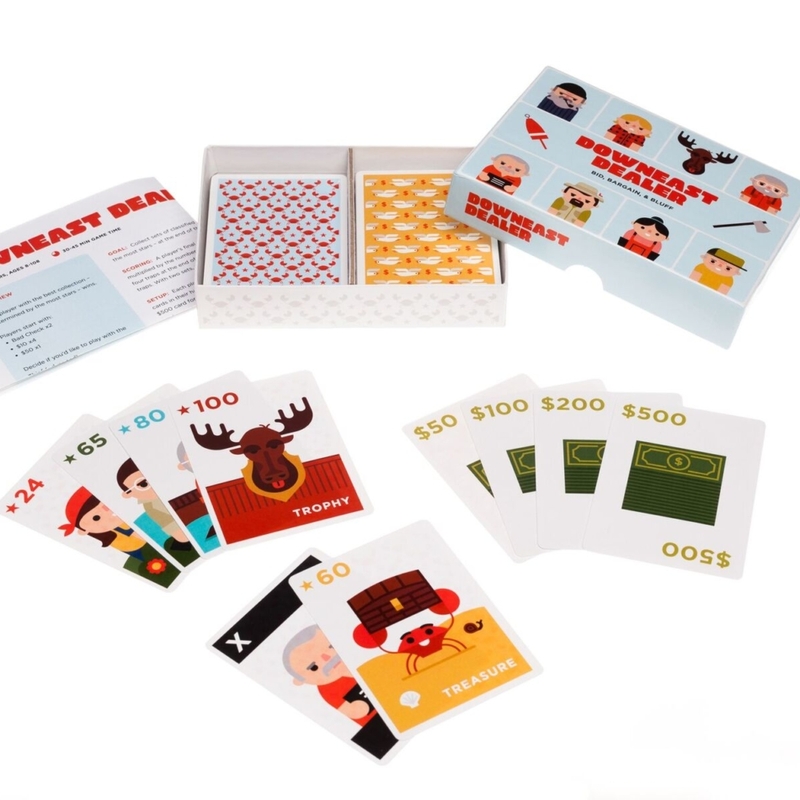 The characters in the game are modeled after folks from the Machias area. 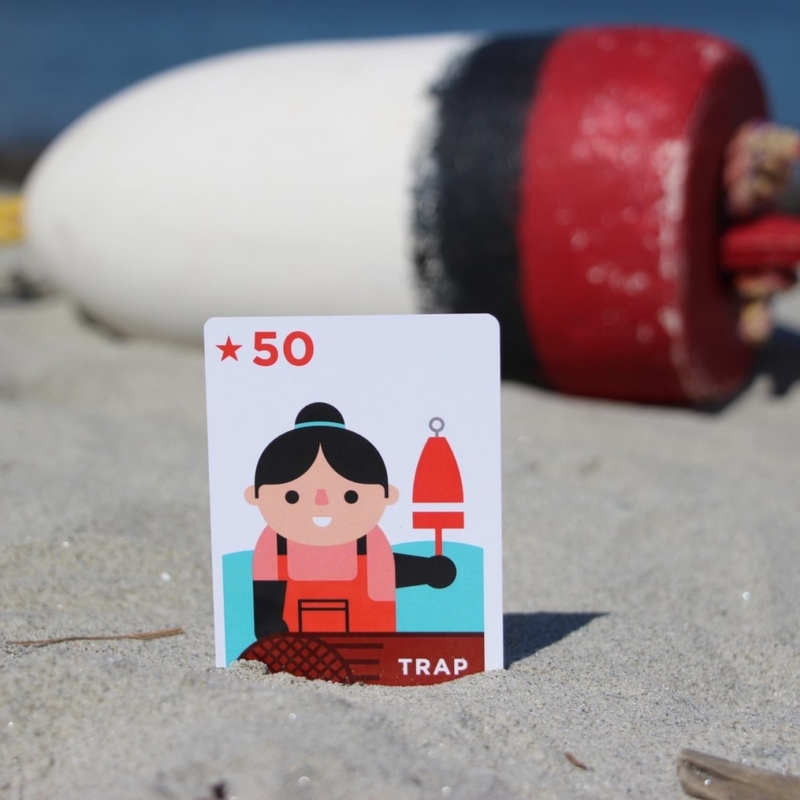 The game was designed and manufactured here in Maine.